Do you have chronic bronchitis and are you new to the Symbicort turbuhaler, or are you wondering if a combination medication could make your treatment regime easier? Here's what you need to know. 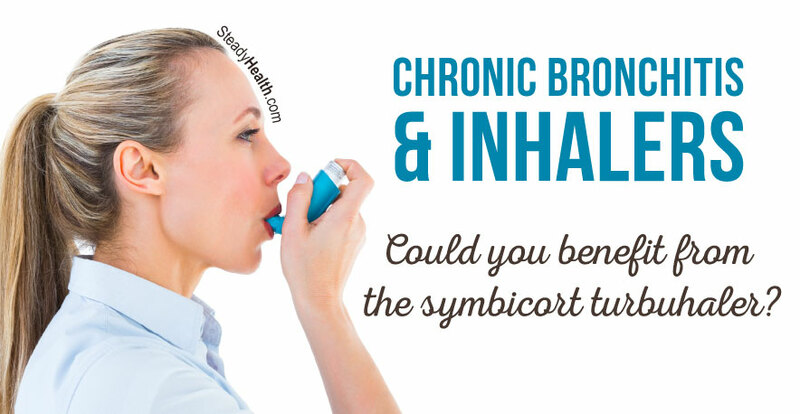 Could the Symbicort turbuhaler be right for you in relieving your chronic bronchitis symptoms, and what do you need to know if it has just been prescribed to you? The Symbicort turbuhaler serves as a convenient maintenance inhaler for people with asthma and chronic obstructive pulmonary disease (chronic bronchitis and/or emphysema), as it combines two medications into a single delivery system. Symbicort contains both budesonide (a corticosteroid) and formoterol (a long-acting β2 agonist/bronchodilator) — which means it reduces inflammation and opens the airways. Symbicort is available in different doses, the budesonide portion making up the bulk of the medication in all cases. Despite the fact that Symbicort was only approved in the US in 2006, it's already on the World Health Organization's list of essential medicines, drugs that every healthcare system needs to be effective . Can I Use Symbicort For Quick Relief? Though AstraZeneca, the company that first marketed Symbicort, makes it quite clear that the turbuhaler is solely meant as a maintenance medication rather than for quick relief , studies have looked into it as an as-needed (quick relief) inhaler , and some doctors will suggest it as such. UK guidelines see Symbicort as appropriate for this purpose in some situations . The most important thing is to take your Symbicort inhaler as instructed by your doctor. You shouldn't use it more than twice a day — but it's pretty effective, so chances are that you won't feel the need, either. Another study suggests that people using Symbicort have better "adherence", meaning they take their medication the way they should, compared to those using budesonide and formoterol separately . Better adherence in turn reduces your risk of hospitalization. Keeping track of all those different inhalers can be difficult, and a combined inhaler simplifies your treatment regimen. If you are currently using a myriad of inhalers, it may be time to ask your doctor if you, too, could benefit from a combination inhaler like Symbicort. How Do I Use A Turbuhaler? You can wipe your turbuhaler with a paper towel to keep it clean, and rinse your mouth immediately after to reduce the risk of fungal infections. Once your turbuhaler is nearly empty, the indicator will warn you with red letters. It is now time to replace your turbuhaler. What Side Effects Can I Expect With The Symbicort Turbuhaler? Oral thrush — which you can help prevent by rinsing your mouth with water and washing it with (clean) fingers after using your medication. Bronchitis, ironically, along with sinusitis and upper respiratory tract infections. It adds that a lower bone mineral density, allergic reactions, adrenal insufficiency, decreased potassium levels, and eye problems like cataracts and glaucoma, are among the more serious side effects that Symbicort can potentially cause or contribute to. Notify your healthcare provider right away if your symptoms are getting worse, or your turbuhaler is no longer reducing them. In addition, your doctor should — obviously — know about all other medications you are on when they decide to prescribe you Symbicort, since some medications do not interact well well with it. Don't use over-the-counter medications to treat chronic bronchitis without letting your doctor know about them for this reason, as well. How doeas a chronic bronchitis affects other parts of body?